“Is there an Echo in here?” There could be soon. 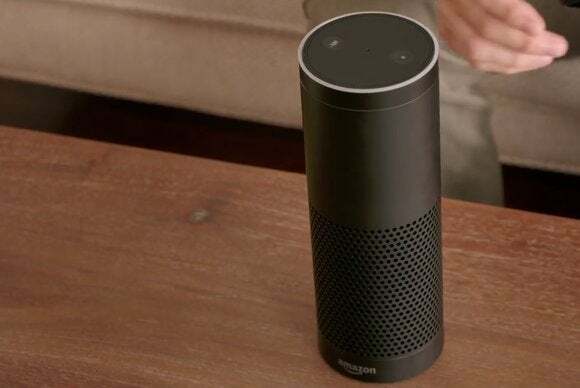 Amazon released a YouTube video on Thursday teasing a new product called the Amazon Echo. It’s a cylindrical device that acts kind of like Siri for your house. You give it a “wake word” that it listens for—the family in the video named theirs Alexa, so I hope they don’t listen to a lot of Billy Joel—and then you can ask it to play music, look up information, set reminders, read you the news or weather, and help your kid with his homework. 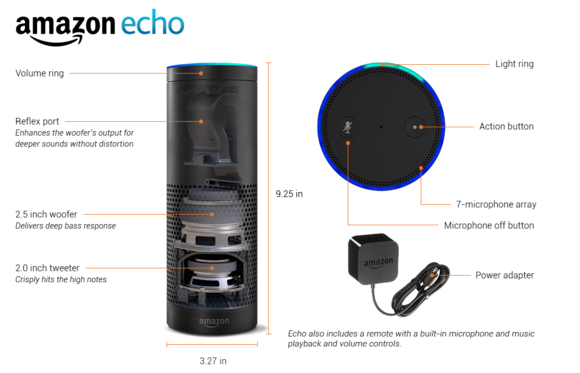 Amazon says the seven microphones inside Echo use beam-forming technology to hear you from across the room, even if it’s playing music. The onboard speaker (with a 2.5-inch woofer and 2-inch tweeter) can stream music from the cloud, including voice control for Amazon Music, Prime Music, iHeartRadio, and TuneIn. It’s also got Bluetooth so you can stream music from any app on your phone or tablet. You can control the volume by turning the light-up ring on the top of the device. Echo has Wi-Fi and Bluetooth to stream music, look up information, and let you set alarms and reminders. Echo will have a companion app for Fire OS and Android, plus a web version for computers and iOS devices, that lets you manage the music, alarms, and lists. And because it’s always connected to the cloud via your home Wi-Fi network, Amazon can add more features and services down the line.